With a name that evokes the Wild Wild West, Gallup Consulting just sounds like a fun place to work. However unrelated to horse racing or wrangling, Gallup is an impressive firm – based on strong analytical research and insight-gathering for key clients. The Gallup Consulting practice is a unique place – easier to break into from non-targets than MBB, but outrageously globally competitive and totally unique in its assessment process (you have one chance, in your life, period). Enjoy reading about the dynamic history and impressive practices of Gallup Consulting. Gallup Consulting Headquarters: Washington, D.C.
Dr. George Gallup was born in 1901 in Jefferson, Iowa. Throughout his life, he was curious about public opinion and politics. He received his bachelor’s, master’s and doctorate degrees at the University of Iowa, and went on to teach journalism courses at Drake University, Northwestern University and Columbia University. Survey research was his passion and he began to apply these procedures to various fields of industry. As a young man, he conducted the first national survey of major magazines to see what ads were successful in attracting the most attention. In 1932, Dr. Gallup joined the New York advertising firm Young & Rubicam as the head of both the research and copy departments. He developed research methods and programs for the television and movie industry to help clients determine advertising effectiveness and how to identify what the market wanted to watch in film and television. In 1935, Dr. Gallup founded a research company called the American Institute of Public Opinion in Princeton, New Jersey. The Gallup family were no strangers to politics; George’s father had run for governor and lost in 1929, but his mother ran for Secretary of State of Iowa in 1932, and won! She was the first woman to be Secretary of State to any state in the United States – and not only that, she was re-elected twice. Dr. Gallup began conducting nationwide surveys of opinions on political and social issues in the United States. An example of one of his first questions was, “Are Federal expenditures for relief and recovery too great, too little, or about right?” It is important to note that partiality was incredibly important to him and, therefore, he refused to be paid for polling that was sponsored by any particular political party or interest group. In fact, he was only known to have voted once in his life – once he set out as a purveyor of unbiased information, it was important to him that no one could claim he had a political agenda or rigged polling practices/results to favor any side. This data was then used to forecast a movie’s box office earnings and popularity. Top clients for his new method was David O. Selznick, Walt Disney, and Samuel Goldwyn. One of Dr. Gallup’s most ambitious projects was a global survey he conducted in 1976. This survey was meant to determine the quality of life around the world. Two-thirds of the world’s population at that time was sampled for the survey. Toward the end of the year, he created an international values study dealing with the social, moral, and religious attitudes of people throughout most of the major European countries. Today, Gallup’s World Poll continues this research. After Dr. Gallup’s death in 1984, many Fortune 500 companies considered acquiring the company. In October 1988, an unlikely merger was finalized with James Clifton’s Selection Research, Inc. (SRI), in Lincoln, Nebraska, an employee-owned company. The deal took 4 years to negotiate between Clifton and Gallup’s resistant Vice Chairman, Alec Gallup but the consulting practice only spun off in 1999 after SRI added human psychology tests to Gallup’s surveys and the joint surveys were mined for data. SRI was founded in 1969 and its expertise in psychological research/interviews identified the “fit” of individuals in specific positions or roles in an organization. SRI’s expertise plays an important role in what is now Gallup Consulting because the merger actually expanded Gallup’s knowledge base and expertise, increasing its value to worldwide corporations and other organizations. During the 1990s, Gallup experienced its largest growth. This period was dominated by “quality gurus” who popularized awareness and value for “total quality management” – a fancy way of saying that organizations should focus their efforts into continuously improving the quality of products and services to consumers. There are many ways to measure a company’s progress, but the worldwide organizational revelation positioned Gallup perfectly to expand as the demand for research exploded. The firm created a new method to track customer satisfaction and trends. This new knowledge-base resulted in new large contracts with many contractual partners still being in force today. The late 1990s afforded Gallup another major breakthrough in research methods. Worldwide corporate leadership became more aware and interested in employee opinions and satisfaction, sparked by incredible competition between organizations to hire the best and brightest. With a legacy of over 25 years of information gathering across all kinds of psychological studies, representing thousands of questions in total, Gallup had discovered 12 key items that revealed the primary needs of staff. This new method was named “Q12 measurements,” which offered a platform that was a huge management consulting breakthrough! Rapidly, 200 new organizational engagements developed and Gallup began conducting ongoing employee surveys for multiple ongoing customers. After building so much valuable experience and knowledge, Gallup did the next big thing – write a book! The firm’s first book, “First, Break all the Rules” was written by 2 Gallup principals – it almost immediately rose to #1 on the bestseller list in the U.S and other foreign countries. We’ve included is a list of the rest of the bestsellers and a link to the popular “Clifton StrengthsFinder” web-based strength assessment at the end of this profile. With all of the firm’s legacy of thought leadership, Gallup was thrilled to digitize its findings – collected over 65 years! In October 2002, Gallup introduced the world’s first web storage system containing millions of records of human thoughts/opinions – aptly named “The Gallup Brain.” This resource has become incredibly valuable to its 20M international financial and business clients and serves as a tremendous resource to the Gallup Consulting staff. Because Gallup’s staff were so highly sought after by academic institutions (many come from academia in the first place), the firm opened a 50-acre Gallup University campus on the Missouri River in Omaha, Nebraska in August 2003. This is not your run-of-the-mill university; the main focus is raising up future advisors who harness analytics to drive insights. Interestingly, Gallup and Purdue Universities announced in December 2013 that they will partner to conduct the largest representative study of college graduates in U.S. history. It is called the Gallup-Purdue Index and will measure critical outcomes of higher education and careers that will provide top education leaders with valuable insights for performance improvements. It’s a common casual agreement by world and education leaders that higher education leads to an increased probability of better jobs, income and lifestyle. However, there is no measurable data to confirm this belief. The goal is to inspire a new set of measures to be created for and by higher education leadership that will lead to new levels of accountability in the university system. That’s not all, folks…when your team is so amazing at gathering information, writing books, educating, analyzing, and consulting to political, economic, education and corporate organizations, why not create a publishing company to bypass the middle man? In 2004, that’s just what Gallup did. Meet Gallup Press – yet another branch of an already rapidly growing information empire. Gallup Consulting, therefore, is the services arm of a tremendous company with one of the richest historical legacies in consulting – and is well-positioned for a bright future harnessing advanced analytical insights to inform major global decisions. Gallup, Inc. is a privately held firm with 4 main divisions: Gallup Poll, Gallup Consulting, Gallup University and Gallup Press. The firm at large is considered an international leader in public opinion polling, market research and management consulting. Gallup Consulting works with both public and private organizations to promote growth using proprietary measurement tools, strategic advice, and education. Gallup’s brand is widely known and respected throughout the world. The firm’s strategic consultants use what is considered to be relevant, timely and visionary research on people’s opinions, how they think and what they feel. Gallup focuses on workplace and customer trends, and the consulting practice provides solutions for hiring, leadership, strengths-based personnel development and employee and customer engagements. Because it draws on over 75 years of global research, Gallup promises that its experts know more about the attitudes and behaviors of the world’s constituents, employees, and customers than any other consulting organization. Pay is not touted as the best in the industry and promotions don’t happen quickly. However, there are many meaningful projects to work on that do make a difference. The work schedule is set by each team member and there is no micro-managing. Sometimes this leads to freedom, but sometimes it means no one is paying attention. It is up to you to engage management and come ready to work. There is an ebb and flow to projects, so there will be both down time (you still need to work to get paid) and times of incredibly high work load. Unlike other firms, there is not that much traveling necessary – because Gallup conducts so much primary analysis, they are relying less on internal data for client firms. Quality, workload and expectations vary depending on what region and senior consultants you intern under. Most candidates work 55+ hours on their internships while others find themselves twiddling their thumbs for a while. Our advice? Make sure you understand the internship position you are applying for. Some consulting positions are more for the purposes of growing Gallup consulting business rather than true management consulting projects. For example, the role of “Client Development Consultant” is truly a sales position. Internships are not as structured as most consulting firms, so there is a greater opportunity to progress and grow at your own speed. Be warned that their training is not as formal as most top firms. However, support from and access to executive management team is readily available. It is important to gain the trust and respect of the consultants you are supporting or you may be left out. Gallup alumni have become senior executives at 35 other research firms as well as many of the U.S. major advertising agencies, public relations, newspapers, magazines, foundations, and academic institutions. Because of the nature of the firm and its brand, Gallup is known more for analytical insights than for strategic directions – and therefore key exit positions are usually more focused on the crunching of data than driving major organizational changes. Analyst positions are highly sought after by Fortune 500 firms, but more senior managers are not considered on par with MBB-calibre project leaders – so go to Gallup early, but leave before you are too senior if you want to lead high-level consulting projects. This is definitely not your typical interview process. As we’ve explained, Gallup uses decades of data to advise other companies on growth and hiring. Their interview process harnesses the vast data access and internal tools to inform a very thorough interview selection process that ensures a candidate’s fit in the company and the specific job interviewed for. The interviews are primarily focused on extensive fit analysis – talking about how past experiences indicate what work-style tendencies you lean on. The questions are meant to challenge you and cause you to think about which of your talents are a default for you. You need to be able to explain how you apply them in life. Phone Interview (40-60 minutes) – this is recorded and is a rapid fire of about 50 questions. They will not clarify questions, so pay attention. The interviewer wants to see how you are interpreting the question. This may feel more like you are being analyzed rather than a standard interview. In fact, you will be right and you will probably want a nap afterwards. Are you good on the phone? Do you like to give gifts to people? Describe the most recent gift you have given. Give an example of how you motivated a co-worker to perform better. Did you ever have to make a difficult phone call that no one else in your office wanted to make? Tell me about it. Do you believe pay should be based on merit? What is your management theory? It is critical that you understand once you have interviewed for a position at Gallup that is your only interview. You may apply for other positions at a later date, but Gallup uses your former interview data. There are no 2nd chances, no matter how many years have passed or how different a position may be. 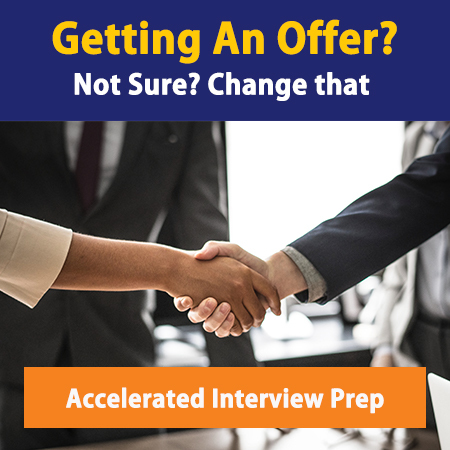 Gallup is very confident in their interview process and doesn’t anticipate finding out something new about you with a 2nd interview later in your career. You can apply online and the process is the same for all positions. The application is divided into 8 consecutive Web pages with specific instructions. Set aside some serious time and don’t take this lightly. Just because your application is being done online doesn’t mean it’s not important. You may feel a bit dehumanized in the process – but remember, your humanity, thought processes, opinions and skills are great assets Gallup is trying to mine and understand – however freaky that sounds. Good news for those of you not at target schools – there is not a definitive target schools list for Gallup. Remember, diversity is incredibly valuable to the firm and they don’t want to miss out on you because you are not at the right school. The world is broken up into regions and Gallup has assigned recruiters to those regions. The recruiters host events advertised through Gallup Career page here. If you are interested in being recruited, find your location on the world map and the related recruiter’s info and list of events in your region is displayed. You are now in charge of what, where and when you attend.